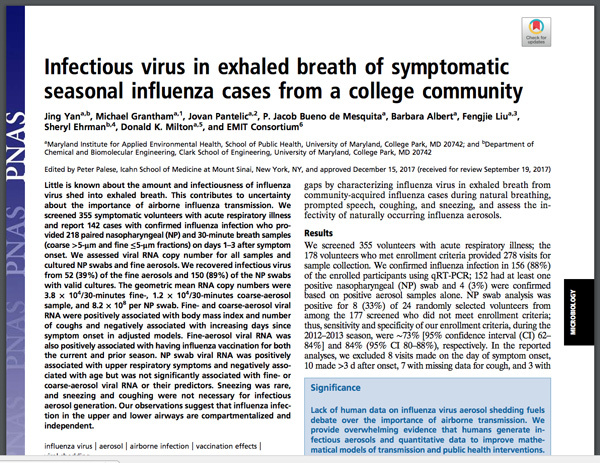 In effect, this finding documents evidence that flu vaccines spread the flu, and that so-called “herd immunity” is a medical hoax because “the herd” is actually transformed into carriers and spreaders of influenza. 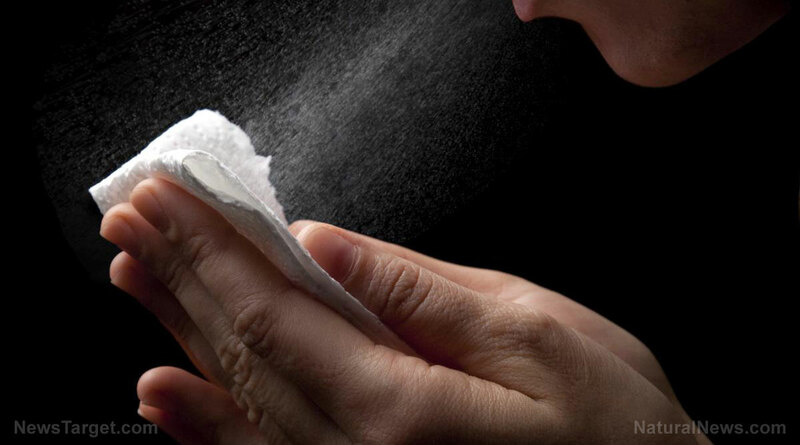 The study, which examined 355 volunteers who were sick with flu-like symptoms, found that people who previously received flu shots emitted sharply higher quantities of flu virus particles that can infect other people. Fig. 2 from the study: Viral shedding: (A) infectious influenza virus (fluorescent focus counts) in NP swabs and fine aerosols and (B) RNA copies in NP swabs, coarse, and fine aerosols. 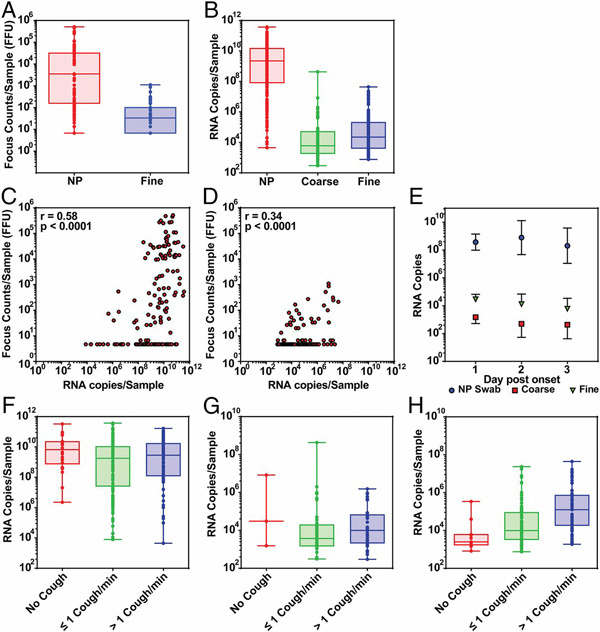 (C and D) Scatter plots and Spearman correlation coefficients of infectious virus plotted against RNA copies for (C) NP swabs and for (D) fine-aerosol samples. (E) The effect of day after symptom onset on RNA copies observed in NP swabs, coarse, and fine aerosols plotted as GM adjusted for missing data using Tobit analysis with error bars denoting 95% CIs. (F–H) The effect of cough frequency on RNA copies observed in (F) NP swabs, (G) coarse aerosols, and (H) in fine aerosols. Coarse: aerosol droplets >5 µm; Fine: aerosol droplets ≤5 µm in aerodynamic diameter.